Sister bars set for compression tests (yellow), tension tests (red), or mid-range (blue). Determining the distribution of stress in bored piles. Monitoring the performance of slurry walls and diaphragm walls. Monitoring strains in slabs and footings. of the axial members, so that strains due to bending moments can be separated from strains due to axial loading. Signal cables from the sister bar are carefully routed to the top of the cage. The rebar cage is then lifted, installed into the boring or trench, and concreted. The sister bar is a vibrating wire strain gauge built into in a three-foot length of rebar. 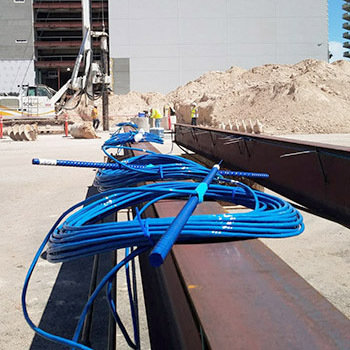 The length of the rebar ensures good contact so that so that strains in the concrete are fully transferred to the strain gauge. Readings are obtained with a vibrating wire readout or data logger. Changes in strain are calculated by subtracting the initial reading from the current reading and multiplying by a gauge factor, which is supplied with the sister bar. Easy to Install: Sister bars are simply wired to the axial members of the steel reinforcement. No welding or protection is needed. High Survival Rates: The durable rebar body and simple installation give sister bars high survival rates. 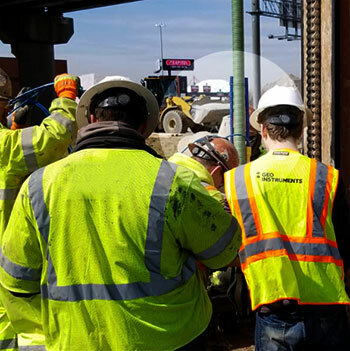 Reliable Performance: The 3-foot span of rebar ensures transfer of strains even if there are local cracks or mixed size aggregate in the concrete. Predictable Response: Sister bars measure strain in the steel rebar, which has a controlled diameter and modulus. Range: 3000 microstrain: set midrange, set for compression, set for tension. Temp Sensor: 3k ohm thermistor. Temp Sensor Accuracy: ±0.5 °C. Rebar Diameter: #5 (16 mm). Rebar Length: 3 feet (914 mm). Shrink Wrap Color Coding: Blue for mid-range, yellow for compression, red for tension. 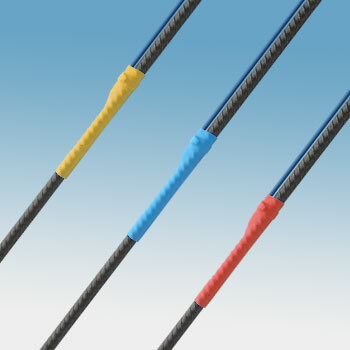 Cable: Shielded cable with four 22 gauge conductors in two twisted pairs, drain wire, and PU jacket. Specify cable length in feet. Cable is attached at factory.